A 1-year-old boy or girl does not know yet what he:she wants as a birthday present and for sure baby's greatest joy will be playing with the gift wrap! Take the opportunity to give a useful birthday present that lasts a lifetime! This first year of baby was rich in emotions and went so fast! Keeping precious memories to tell him his story when he is older is essential. 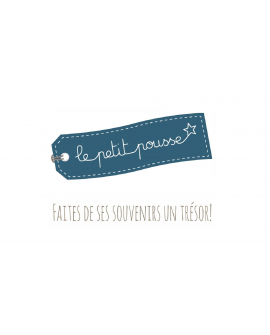 Le Petit Pousse presents its selection of birthday gifts for 1 year boys and girls.